I was just reading Barbara Lewis' blog, Painting with Fire Artwear, and came across this post she did about a treasury she was in. Low and behold, there are some of my beads in it! Karon, from WildWomanJewelry on etsy, made these earrings with my beads (third row, third one in)! How cool is that? 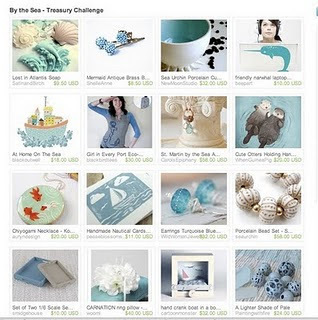 beautiful earrings and treasury, congrats! sue's beads are GORGEOUS! thanks for the mention and the link, sue!